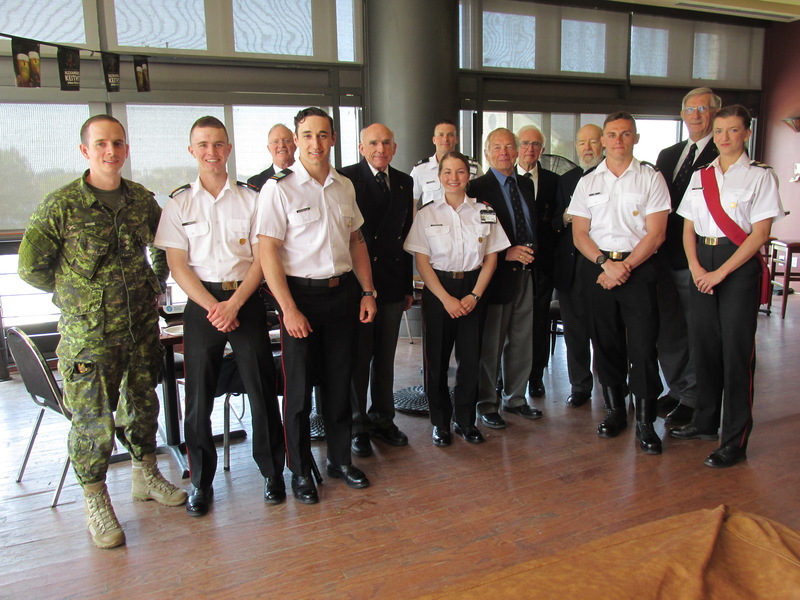 Following our tradition, several members of the Class of ’64 hosted the Sandhurst Team for pizza and beer at RMC on May 16th. 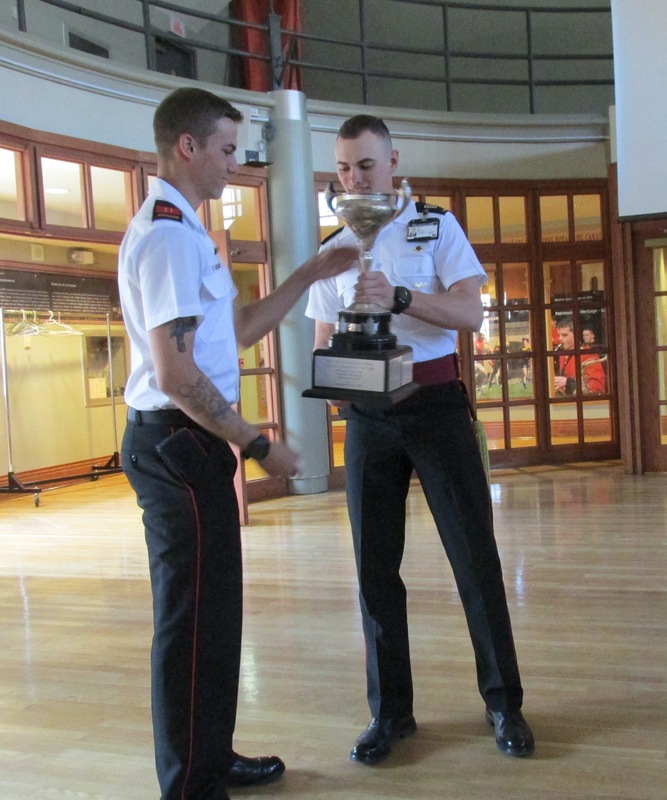 Along with the Commandant, the Director of Cadets as well as their CWOs, the team regaled us with stories of their exploits, topped off with a video documenting the very successful 2018 season. Bob Harrison and Brian Cameron congratulated them on behalf of our Class; they are sincerely grateful for the monetary support we provide. 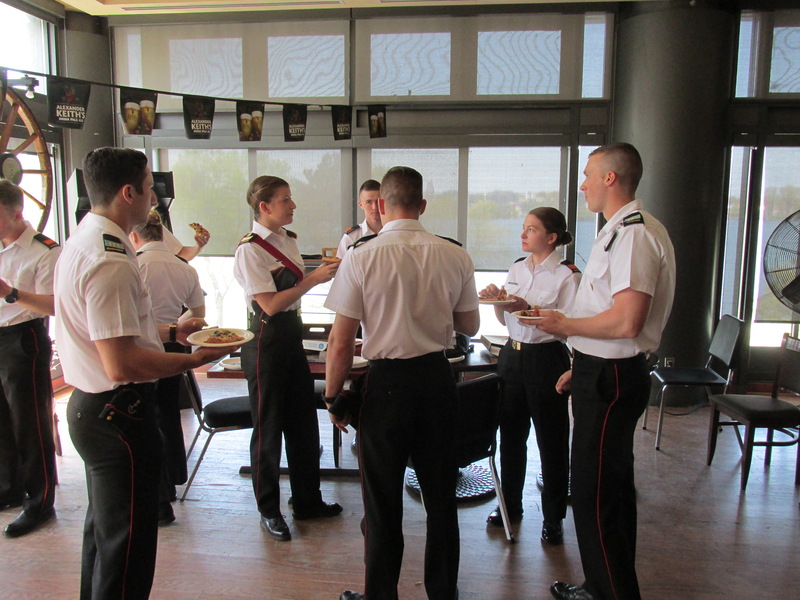 As is evident in the photos below, this extraordinary group of young Officer Cadets impressed us all. Thanks again to Brian Cameron for organizing the event. 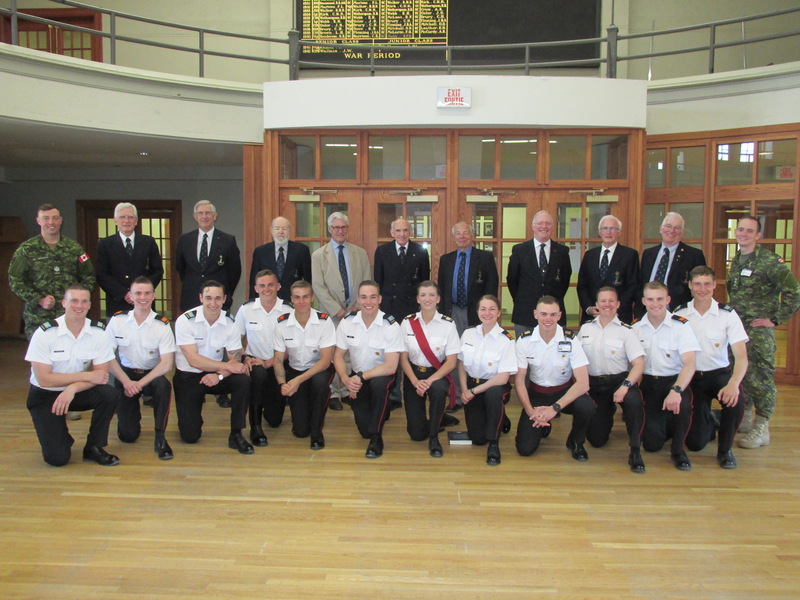 Front row: OCdt Eric Guevremont, OCdt Zachary Smith, Élof Samuel Quenneville, Ocdt James App, OCdt Marc Choquette, OCdt Gabriel Kemp, OCdt Morgan Perigo, Élof Amelie Lefrancois, NCdt Gavin Omand, Élof Elise Thivierge, OCdt Andrea Belltramello, OCdt Andrew Haves. Rear Row: Sgt Monaghan, Peter Mace, Bob Fischer, George Bruce, Rob Boadway, Brian Cameron, Bob Harrison, John leech, Mike Irwin, Hamish Taylor, Capt Nicholas Payne. 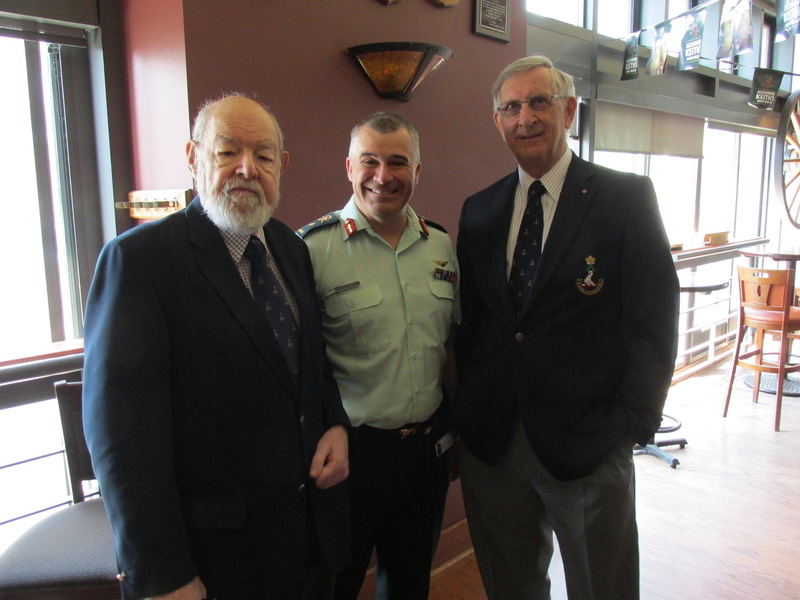 George Bruce, BGen Sébastien Bouchard (Commandant RMC), Bob Fischer. These ladies and gentlemen cadets have obviously not eaten as much pizza as we have!